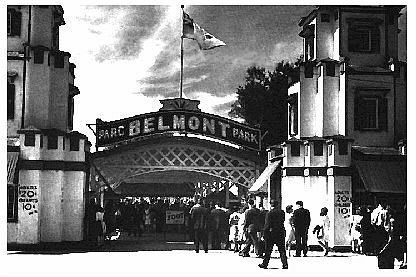 Often referred to as "Beautiful Belmont Park", it was started by Ernest Gaudreau and three business associates when they formed The Belmont Park Company. They purchased about 5 hectares of a farm in west Montreal, which had water frontage on Riviere des Prairies (Prairies River), a split of The St. Laurent (St. Lawrence) River. Access to the park was to be via Rivoli Street. Opening day occurred June, 9, 1923 with admission at 10 cents for adults, half price for children. Here is the main entrance. It opens into a covered area, which may be seen in the aerial photo, farther on. The sign just inside advertises a "Zoot" promotion or event. Park admission then was 20 cents, with ride tickets at 10 cents. This entrance was moved in 1963 not far from this location to the park's southeast corner. Bob Carswell of Toronto lived in three different locations, each within a few kilometres of Belmont Park from 1945 through 1966, and 1970 through 1972. He remembers the station where the busses met the streetcars: "The streetcars passed Bois Franc Road, under the railroad tracks at Val Royal CN Station, through more fields until it reached the station between Grenet and Ranger Streets in Cartierville. It had truly been a trip in the country, occasionally delayed by a cow that got on the tracks." "The old 1940's era blue and white Laval buses of varying descriptions met the streetcar there, and for the Belmont Park walkers, it was one half block down and one street south. It was a very busy station on weekends in the summers with thousands of people hoping to get a seat on the streetcar - especially those with tired kids and babies asleep in their arms." The park sported a dance hall and a ferris wheel. 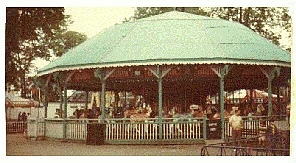 One source mentions a carousel, but reliable sources show that one was not installed until 1924. So either there were two, or a portable unit was installed for the first season, or more likely, the 1923 date is wrong. Picnic grounds were also included. At some point, a marina was established at the waterfront. Thanks to a good opening season, 1924 saw the introduction of a swimming pool, roller coaster and a Philadelphia Toboggan carousel (#70). It lasted until near the park's demise but was unfortunately sold in pieces to collectors. Below are two carousel photos from Richard Concepcion of New York City. The carousel and its building. Note that the building has been modified from that in photos taken in earlier years. These earlier images may be seen farther on. A closer look at one of the horse carvings. 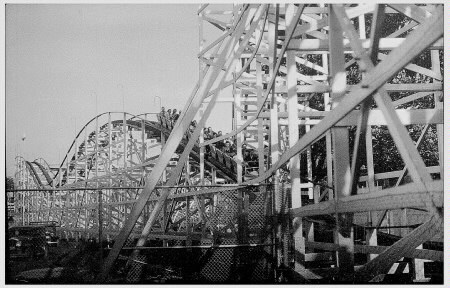 The "Cyclone" roller coaster was installed in 1924. Designed & built by Herb Schmeck, H. F. Allen, and one of the Mitchell brothers, it lasted until 1983. 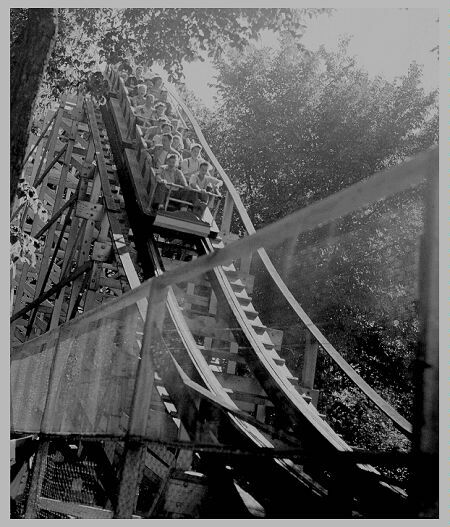 The ride was apparently known as The "Thriller" at some point, and in the early years as "Montagnes Russes" and "Scenic Railway". It was built of coated British Columbia douglas fir on concrete footers, with steel cable reinforcement in high stress areas. The lift hill was 110 metres long, 19 metres high, and utilized a 75-horsepower motor. The L-shaped layout was 762 metres long with an 1143mm track gauge and three block-brake runs. Part of it ran along the Riviere des Prairies. 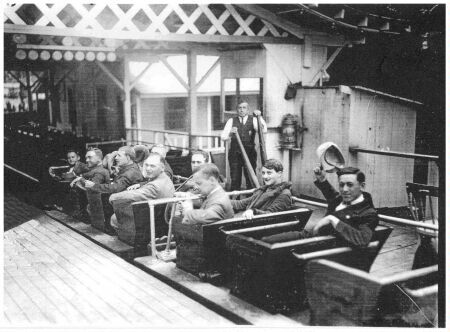 Each Philadelphia Toboggan train sat 24 riders in 3, four-bench, non-trailered cars with open fronts. Top speed was likely around 65 km/h. This undated, hand-tinted postcard shows the park as seen from Riviere des Prairies. The short side of The Cyclone's L-shaped layout may be seen behind the trees. Patrons could take boats on the river. A Charles Phillips photo shows the Cyclone's station with a train about to leave. Note at Center rear, the brakeman with his hands on the large levers. These operated the below-track brake shoes to slow & stop the train in the station. Releasing them allowed the train to coast downhill to a point outside of the station where it could engage the lift-hill chain. This is The Cyclone about a decade later, as taken by Conrad Poirier. The train takes a plunge down a drop. Much of the ride was in a wooded section, as is depicted here. Taken by Conrad at a later time, this shot continues the view seen in the above photo. Here near ground level, the train completes the hill and then enters the structure on the return leg of its journey. In just a few metres, it will be in a wooded setting once again. Little is known about the depression era except that there was a softball diamond and a running track, but it's unknown when they were installed nor how long they lasted. A roller skating rink was built in the late 1920s or early 30s but the pool closed after the 1937 season. Pools were expensive to maintain and often developed leaks, so the depression saw many of them close due to lack of funding. Researcher Victor Canfield of Hershey, Pennsylvania found an interview taken with Harry A. Illions in 1949 which said that he had rides at Belmont Park beginning in 1938. It mentioned plans to install a "Water Bug" (Maynes) at Belmont in 1939, but Victor never came across confirmation that the ride was actually installed. However, Illions was credited with ownership of a "Magic Carpet" and "Laff-in-the-Dark" at Belmont in 1945. Confirmation comes from a 1946 directory (issued in 1945). It shows Illions as having concessions for one or more kiddie rides, a walk-thru or funhouse, and other devices that were not specified. Fortunately, Belmont was able to weather the Depression, while its competitor, Dominion Park, did not. Still, the park changed owners at some point during this time. In fact, one of the owners during the 1930s was Charles Trudeau. His son, Pierre, would become Canada's 15th Prime Minister in 1968. He would serve a total of 15 and a half years in office, making that run Canada's third-longest of any prime minister. By the mid 1940s, along with the "Cyclone" coaster and carousel, were 17 other adult and kiddie rides (with some being run by Conklin & Garrett), a walk-thru, a ballroom, shooting gallery, a photo gallery, and hand writing analysis. Some of these during this period and into the 1950s included a "Caracole", "Flying Scooters" (Bisch Rocco), "Hammer" (likely an Eyerly "Loop-O-Plane"), "Magic Carpet" (a Harry Illions concession - possibly from 1938), "Pirouette", "Rapido" (Illions concession? ), "Rotor" (Hoffmeister ? ), Safari", "Trabant" (Chance? ), "Whirlpool", and a miniature train. Bob Carswell has this to say about The "Rotor": I remember several things that came to the park. One was a fast moving cylinder in which you got strapped into a space standing against a wall. The force of the spinning wheel held your body to it. The floor you were standing on was then let go and you were pinned to the wall." "The other thing that came to the park was motorcycle riders who rode in a very large barrel. The viewers stood at the top and watched the riders go around and around the walls for a long period, crossing and just missing a number of times until it was over. That event was just inside the front gate on the right. When operational, it was always noisy due to the lack of mufflers, and smelly from the exhaust, but it was part of the thrill and sounds of Belmont Park." 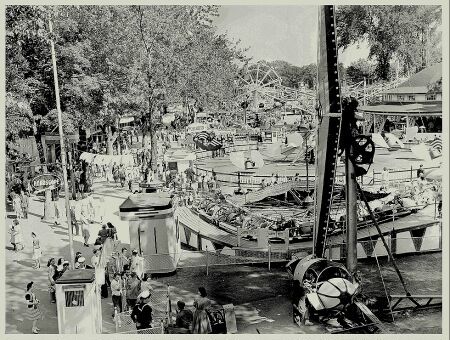 This was a "Ride of Death" or "Circle of Death" style of exhibition that was at the park in the 1950s. Does anyone know the name as displayed at Belmont? 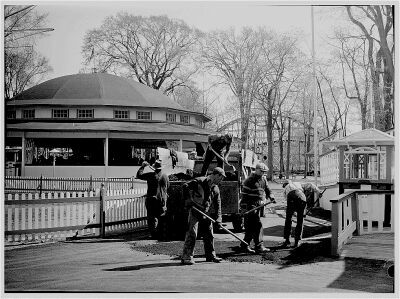 These men are patching an area of the midway prior to season opening, as was viewed by the lens of Conrad Porier. Note the coaster structure in the background seen through the newly-budding trees. The amusement ride sweeps at Upper Left appear to be those of The "Flying Scooters", while the building in the background houses the carousel. Two of the other adult rides at this time were a "Roll-O-Plane" (Eyerly) and a "Moon Rocket" (Herschell), likely put in for the 1945 season. These may be seen in the photo and advertisement below. Seen here in this Conrad Porier photo are a Roll-O-Plane, "Caterpillar", "Flying Scooters", "Octopus", Ferris Wheel, and the carousel building. Note at Center Left, the "Horoscope" sign hanging from the light standard towering above the ticket booth. This ad shows the midway a year later. The Roll-O-Plane and other rides are the same, but at the right, a Moon Rocket has replaced The "Caterpillar". Compare these photos with the 1950s\60s postcard, farther on. In the park in 1940s was a horse/pony track. It wound around the roller coaster structure, and was there at least until the late 1970s. There were also 11 games (including a "Hi Striker" and "Guess-Your-Weight" scales), and a penny arcade. This was run by the E.G.& J. Knapp Amusement Company, which ran arcade and ride concessions in many Canadian parks. Some of this was housed in a building known as "Fun Plaza". This photo shows some of the games concessions in the park. The park had two funhouses, one of which had a laughing figure outside. She was known as "Fou-Rire" in french. This translates to "insane, silly, or mad laugh". Anglophones knew her as "Laughing Sal". The park owners referred to her as The "Queen of Belmont Park". Sal's voice was provided by Rose Ouellette. It's unsure when this went in, but it appears to be the early 1970s. It had haunted-house theming. 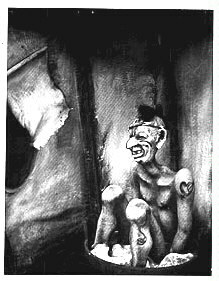 A re-creation of the laughing figure is shown here. The original was outside one of the funhouses from at least the 1940s until the park's closure. Note the poster of the same at the right. Raymond Dumoulin of Montreal reminisces: "I remember Parc Belmont from my visits in the mid 1960s when I was about 12. I initially visited with my dad, but it soon became the first place where I took the bus and explored on my own. I remember the smells, the excitement and the atmosphere, but what kept me up at night was the Fat Laughing Lady." "She was housed in her own little room up on the face of the `Haunted House', and you could hear her laugh track loop from one end of the midway to the other. She had a realistic, albeit extremely bloated face with too much lipstick, and I remember that she shook all over in time with her laugh." "Her little room was angled down so that you could see inside. The room backdrop consisted of three walls with painted-on furniture of a skinny Chippendale style that was decorated with vertical and oblique stripe motifs meant to look uncanny and disquieting." Also by the 1940s, were five refreshment stands. A number of free acts were featured besides the ballroom orchestras. They were on entertainment stages and a bandstand. 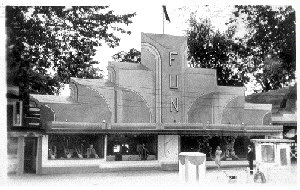 A bingo hall and arcade were also available during the park's run. Apparently some sort of movies were offered as additional entertainment by concessionaire A. Demers. North of the dance pavilion was a wharf from which boat rides were offered. Bob Carswell reminisces: "I remember the dance hall down at the other end of the park by the water. It had a licensed lounge for those who were old enough. The tour boats that launched from there were similar to those you might see on the Thousand Island Tours today. The current was very rapid there, and the Carterville Boating Club, started by Hugh Paton in 1904, was located on the river at the bottom of Cousineau Street, one street west of the Lachappel bridge." "The boat tour would take in Paton Island. This was an island with a beautiful, small river of its own branching off the main river that separated this island from the Laval side of the Riveriere des Prairies, or the `Back River', as the locals called the St. Lawrence, which ran around the north side of the island." "I remember as a youngster in the 1950s sneaking on to the island and checking it out. A house was at the east end of the island with a bridge across to it. There was a private nine-hole golf course, nicely groomed - take it from a former caddy. The most impressive thing to a youngster was a giant, professionally-made treehouse with proper stairs and plate glass windows. It was quite a place." "We sometimes pulled into the old boathouse on the Back River side of the island to get out of the rain as it was no longer being used by the family. Today that island has been developed, as was the entire waterway along the inner side of the island. I seem to think there may have been a highrise built on the island in the 70s or 80s." Rides mentioned during this period and into the 1950s were Bumper Cars, "Cortina Bobs" (Klaus ? ), a Ferris Wheel, "Flying Scooters" (Bisch-Rocco), "Hurricane" (Hrubetz), "Octopus" (Eyerly, 8-car model), "Roll-O-Plane" (Eyerly), "Round-Up " (Hrubetz), a "Tilt-A-Whirl" (Sellner), a Tumble Bug" (Traver), "Wild Mouse" (Heinrich), and a "Whip" (Mangels). The park also had an extensive kiddie area with a second, smaller carousel. 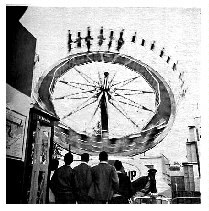 Journalist Steve Proulx of Montreal says that in 1953, Belmont had a complete collection of the "O-Plane" rides made by Eyerly: The "Rock-O-Plane", "Roll-O-Plane", "Loop-O-Plane" and a "Fly-O-Plane", along with The "Octopus". Here is the Tumble Bug as it was during World War II. A 1957 Billboard ad proclaimed that Belmont had a Kiddieland with 11 rides (Conklin), a 12-car "Hot Rod" (Morgan Hughes) and that the park owned a Roller Coaster, Merry-Go-Round, "Scooters", "Scooter Boats" (same as The "Water Scooter"? ), "Motorboats", a "Whip" and a "Laff-in-the-Dark". (The latter was bought from concessionaire Illions some time after 1945.) Also mentioned is the park-owned ballroom. This means that the remainder of the rides must have been concessions, likely most all from Conklin by this time. 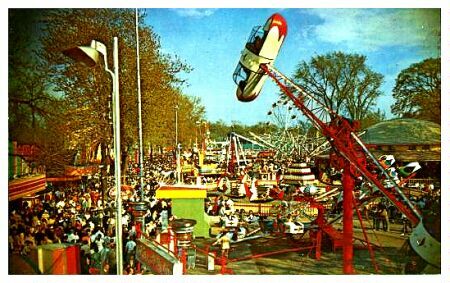 In 1959, the park's general manager, Rex Billings, left to join the Conklin carnival company, which was, and still is, best known for its midway at The Canadian National Exhibition in Toronto. That season, The "Hurricane" was replaced by a "Thunder Ride" run at the CNE in 1958. Presumably, The "Hurricane" came back to the park, as it is seen in later photographs. 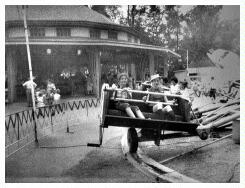 The Conklins continued to run other rides and attractions at the park as concessions. This was done under the company name of "Bazaars Limited" and included a shooting gallery, Circus Show, Ferris Wheel, "Flying Dragon", "Fly-O-Plane", "Roll-O-Plane" (both by Eyerly), an Eli "Scrambler", Sellner "Tilt-A-Whirl", a "Twister" and a "Whiz Bang". Roll-O-Plane, Octopus, Flying Skooters, Carousel, two Ferris Wheels, and a Hurricane. Denise Tremblay (right) and a friend enjoy this ride from Aeroaffiliates named by the company as The Flying Coaster. Might this be The Flying Dragon ride referenced earlier? The carousel building is in the background. Denise Tremblay (left) and her friend ride The "Whip". The whipping mechanism of each car is clearly seen in this photo. This photo shows the "Round-Up" in action. The structure in the right background appears to be the park's entrance. Note to the left, the park map next to a telephone booth of the era. Here's a view of the kiddie ride area. The foreground ride appears to be a Herschell "Tank" carousel. A more traditional carousel is under one of the canopies in the middle ground. Note in the right background the "Train" sign. In this image are seen the ferris wheel, Scrambler and the carousel building. Also available was a bar or club which served alcohol, but the years of operation are unknown. As mentioned, Belmont had a "Wild Mouse". In 1957, Patty Conklin became the agent for Heinrich of Germany and brought over a number of their "Wild Mouse" roller coasters. The first one was built in 1956. Evidence from Victor Canfield and confirmed by Jim Conklin, shows that it was at the CNE for 1957 and then moved to Belmont for the 1958 season as a concession. A Conklin "Billboard" magazine ad reports that at Belmont, the ride grossed $52,031.50 for 16 Weeks in 1958 and 63,405.00 in 1959 - both at 25 cents per ride. This scratchy image shows two cars in the circuit. The closest has recently left the lift hill and is in the zig-zag track, while the background car is getting close to a zippy run through the lower structure. Park reports provided by journalist Steve Proulx of Montreal, say that in February of 1962, illuminated plastic signs were installed for The "Wild Mouse", and that the ride's cars were refurbished or replaced in 1966. Patrick Grando, who was raised in Laval, Quebec contributes: "It was called `The Mouses' and had 10 cars, each with a respective colour. I telephoned my sister and we recalled the name known in French as `La Souris Folle' meaning `the Crazy Mouse'. The cars were painted on metallic cases but neither of us can remember the actual sign being French or English, or bilingual, for that matter." Patrick also remembers an accident on this ride in 1976, but can remember no details other than that he thinks a car left the track. 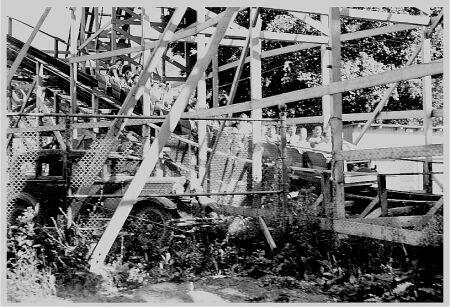 Given the number of wheels on a typical coaster car above, beside, and below the track, this may have been an exaggeration of the actual circumstance at the time. There is no word how long the "Mouse" was in the park, but it appears that it, or a replacement, lasted until 1983 when Belmont closed. Regardless, it looks like Belmont Park ended up with the first "Wild Mouse" ride ever brought into Canada, although the Klaus or Mack version at Bob-Lo Island likely opened before this ride ran at The CNE. This off-season postcard photo shows the leaves turning. Visible are The "Cyclone" coaster (Center Left through Upper Right) and the Carousel building at Center Right. 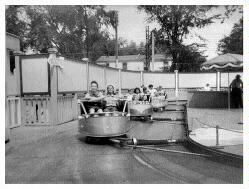 An unknown ride, The "Wild Mouse", and "Water Skooter", are at Center Left. A "Tumble Bug" lies at Center Bottom. The park entrance is located at Lower Left. Note its covered walkway leading to the midway. The entrance would be moved in 1963 to the lower left corner where the orange truck can be seen here. The Bridge at Upper Right is Lachappel (The Chapel) and crosses Riviere des Prairies into Laval. In December of 1968, discussions between Conklin and Belmont Park were held regarding installation of six new rides for the 1969 season. They were to include a "Caterpillar" a "Moon Rocket", (both likely from Herschell/Chance), a Hi-Slide, "Skyliner", "Rock-O-Plane" (Eyerly), and a "Zyclon". This represented an investment of $469,000. This raises questions. There was already a "Moon Rocket" in the park in the 1940s, so at some point it must have been removed. As well, it appears the "Rock-O-Plane" was not installed until 1972. Another Mack ride, that may have been purchased through Conklin, was a "Matterhorn". Recent information states that this was a 1971 model and was in the park until it closed in 1983. After that, it was bought by Campbell Amusements of Brantford, Ontario for the carnival circuit. 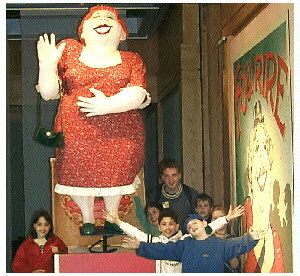 The ride was seen still functioning in Bridgewater, Nova Scotia at The South Shore Exhibition during July of 2000. Changes were made in the late 1960s or 1970s to compete with La Ronde, which had opened with the Expo 67 World's Fair and remained as a permanent amusement area. A Pay-One-Price policy was started with initial admission being $6 ($2.50 for children), and more stage entertainment was booked. The entrance had earlier been moved to the southeast corner. By this time upon entering the park, there was a restaurant to the left. It was located in the rounded, bright-roofed building visible at the lower left in the aerial photo, farther back. Also added were a store, a discotheque and The "Haunted House", as previously mentioned. 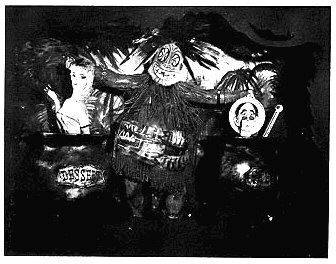 The latter attraction had gags/artifacts such as "Dessert and Stew", "Jolly Polly", "Shiverin' Indian", and the giant "Tiki Gods". This depicts a cannibal with a man for the stew and a woman for the dessert. A parrot dressed in a pirate motif. 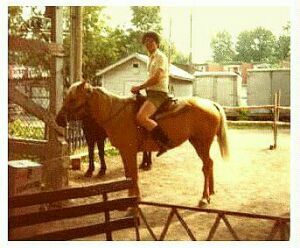 Robert Miller, currently of Richmond Hill, Ontario used to visit Belmont Park in the 1970s and remembers the funhouse. He says: "I grew up on the Island of Montreal (Verdun), and visited Belmont about half a dozen times. The first time was probably early 1970s, possibly even the late 1960s. The last time was in the summer of '78. Probably the most vivid memory I have of Belmont park is the `Haunted House' (funhouse), which ended up in a roller slide." "Just before you exited, you went into a small dark room and were told to sit down. The `bench' was a series of rollers (like those used to transport boxes in grocery stores, only longer - maybe 2 metres). The door closed, and suddenly the chair dropped out from under you, propelling you through another door in front. You would find yourself on a long, bumpy, bright yellow moving mat that descended about 3 to 5 metres to end up in a padded landing area. It was a great surprise the first time, and wonderful anticipation on subsequent visits." This sounds as if The "Haunted Hosue" was a reworking of The "Magic Carpet". Raymond Dumoulin also remembers the interior of the funhouse: "When you entered the `Haunted House', you were plunged into darkness and the scariest thing was the banging of he doors as you progressed from one area to the other. This ruckus was even more frightening than the skeletons that jumped out at you. Then, you noticed a strange flowery funeral parlour smell. It was a lot like sandalwood incense. In my childish imagination, that smell became the smell of fear. That odour is still with me." "The most heart stopping ingredient of the ride was the `caress'. In a particularly dark part of the ride, there were filaments that hung down from the ceiling and gently swept your face as the car passed through. That was SO CREEPY!" Contributor Robert Miller's account jolted Raymond's memory regarding the funhouse ending: "I also remember that grocery store conveyor at the end of the Haunted House ride. Those rollers scared me shirtless. I was afraid my fingers would get torn off by the mean-looking chrome rollers." "The funhouse was my favorite haunt (!) at Parc Belmont, and I firmly believe it was more than a little instrumental in my later becoming a published horror/fantasy writer. I used to dream up scary stories that took place in a dark and deserted Parc Belmont with, of course, the "House of Horror" as a centerpiece. I guess it was my way of taking it all home with me and reliving the experience. It certainly got me hooked on the genre and on storytelling." In 1972, Conklin and the park negotiated a five-year operations contract to begin in April of 1973. Installed was a Soli "Skooter" with 25 bumper cars on a 12 X 24 metre layout. Sold to the park was a "Fascination" Game for $10,000 to be paid for at $2000 per year, interest free. Given that 1972 saw a record three quarters of a million visits, it's no wonder Conklin wanted such contracts. A "Swing Ride" from the 1972 CNE was to be brought to Belmont in April, 1973 and run until to August 1 of that year. That ride was returned to The CNE but replaced by a similar unit. Belmont Park bought The "Whiz Bang", "Rock-O-Plane" and Slide. Late in the park's run there was a Chance "Toboggan" that was known under that name and possibly as The "Bobsled" or "Lightning". No further information has surfaced on this roller coaster yet. Another coaster was in the park in 1976. It was a kiddie coaster. 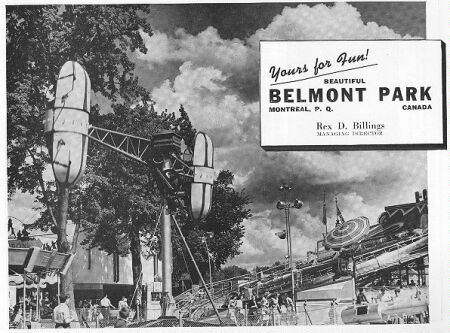 Christine Van Yperen of Montreal says: "I remember that Belmont had two roller coasters: one for the adults and one for the children. I remember because I was a Brownie (junior Girl Guide) waiting for my leader and the gang to show up. I was the only person on the coaster. The small roller coaster was in front of The "Cyclone" and had three hills. I remember this ride didn't last; the next time I went back to Belmont Park for summer fun, that small coaster was gone. " This sounds as though a concession was put in the park for one or more seasons, probably by Conklin Shows. 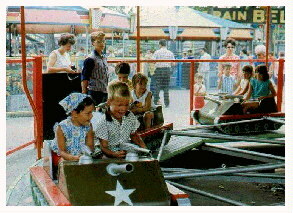 A popular steel kiddie coaster at the time was the Herschel "Little Dipper", or it may have been one of the Schiff models. Steve Proulx says that it was a concession of Conklin as early as 1953. He confirms Christine's recollection that It was in front of The "Cyclone", as is shown in a plan of the park in his possession. The question becomes whether this ride was in the park for over 20 years or simply brought in from time to time by Conklin Shows. 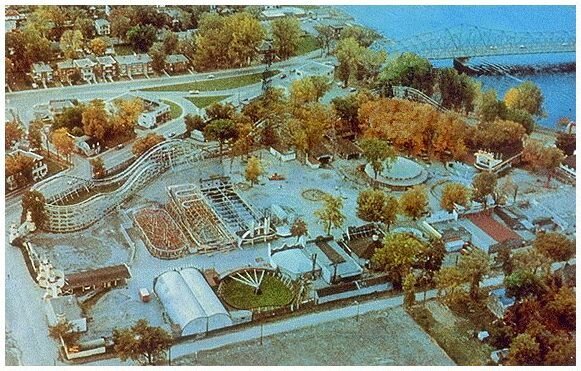 Belmont continued to operate after La Ronde opened as part of Expo 67, but it began to deteriorate later in the 1970s as patrons were syphoned off to the newer park. There was an accident in 1979. A car detached from The "Paratrooper" (Hrubetz ?) injuring two riders. 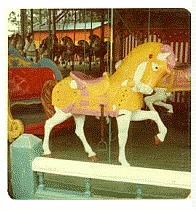 This ride had replaced the "Tumble Bug" in the 1960s or 70s. The "Paratrooper" was dismantled and never reopened. There is no word as to whether the ride was sold at that time or not. In 1980, the park was sold to 94612 Limited for $2.4 million. Sometime in the early 1980s, the new owners bought a ride from Crystal Beach Park they named "Bouche de Texas" ("Texas Mouth"). It had been The "Texas Revolver" (a Larsen "Super Loops") at that park. Another used ride brought in was "Astro-Fuse" (Astro Rocket). It came from New Orleans. During this time, the antique carousel was auctioned. This generally is an indicator of a park on its way down. Such sales typically seem to occur within a few seasons of a park's demise. The quality of park staff began to drop and the park would close a few years later. One last hurrah for Belmont was the world roller coaster riding record. That year, it was set by Daniel Glada and Norman St. Pierre. They started on July 18th, 1983 and rode The "Cyclone" until August 10th. In those 24 days, they rode a total of 502 hours (506, from another source). That record stood for a decade. Since then, Norman has broken that record several times, but currently does not hold it. Richard Rodriques now boasts over 2000 hours on board a roller coaster. See: The Rollercoaster Champion of the World. On the other side of the coin, there were problems at La Ronde with the competition from Belmont. Lynda McCormick of Beaconsfield, Quebec says: "There are still many questions being asked about why the park closed, it never lacked for visitors. 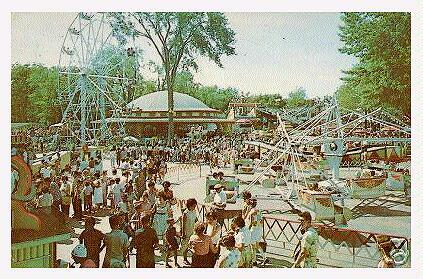 Although La Ronde was already operating, many people still preferred Belmont for nostalgic reasons and atmosphere. I know that the City of Montreal and the Quebec government (La Ronde's owners) resented it and thought it was taking steam out of their park, so they had tried to shut it down since Expo 67 when La Ronde first opened. In the end, there were accusations about illegal operations at the park and the police simply came in and shut it down. Many people were outraged and saddened when it closed so suddenly." "We drove by it a number of times after its closing and saw it fall to ruin and vandalism. People weren't told about what was happening to the artifacts. I know that the sign from out front was spotted in a secondhand shop within the last couple of years downtown." Steve Proulx feels differently about these artifacts: "The signs of the Belmont Park that people think they found in a secondhand shop are probably not from the Belmont Park. This secondhand shop is called `Universal' and it's a company that sold used sets from movie productions. The movie "La Comptesse de Baton Rouge" (1998) was set in a reconstruction of Belmont Park. After the Montreal part of the movie was shot, it's possible that all the sets were shipped to this company." Although the park's rides remained for a time afterwards, Belmont closed October 13, 1983, never to reopen. The "Cyclone" was torn down starting in the fall of 1983, with the remainder removed in the spring of 1984. 94612 Limited then sold the land. One company, Sofitec, would build condominiums. Today, the area has housing on the ground where carefree times were once had. Thanks go to Richard Concepcion of New York City for pony track information and two photos. Thanks also for information and pictures regarding the carousel, and for the snack bar photo. Thanks to Lynda McCormick for additional information and personal recollections. Attraction information, other photos, and the park ticket are courtesy of Christine Van Yperen of Montreal. Appreciation goes to researcher and journalist, Steve Proulx of Montreal, for sharing his research and park reports. A special thankyou to Dan Goodsell at The Imaginary World for the images of the Haunted House gags. See their Dark Ride Catalog for more such artifacts. Thanks to Eric Lapointe of Pointe-Calumet, Quebec for the "Cyclone" and "Tumble Bug" photos. He wishes to credit The Archives Nationales Quebec. The coupon scan is courtesy of John Allore, formerly of Pierrefonds, Quebec and now living Chapel Hill, North Carolina. The "Flying Coaster" and "Whip" photos are courtesy of Denise Tremblay of Ste-Marcelline-de-Kildare, Quebec. The 10-cent ticket scans were generously submitted by Michel Gagnon from his collection. He lives in Montreal.